India is an obvious choice for anyone looking to celebrate Diwali, the Hindu festival of lights. But it’s far from the only option. All around the world, Diwali participants decorate their homes with oil lamps known as diyas and colorful mandalas called kolam. Fireworks spread across the skies of celebrating cities from Australia to the US to close out epic, days-long fairs. Whether you want to find a venue to observe the triumph of light over dark in a traditional fashion or simply wish to expand your cultural horizons, consider visiting these festive destinations between October and November for the ultimate Diwali gatherings. Hinduism is among the fastest growing religions in Australia. Sydney has the largest Hindu population, but runner-up Melbourne takes first prize in Diwali festivities. Celebrate India puts on a massive event in Federation Square complete with Bollywood performances, food stalls, henna painting, and more. Then the whole thing ends with a bang in the form of a glorious fireworks display over the Yarra River. Join in on the fun this November 3rd from noon to 10:00 PM. The festival is free for celebrants of all ages. Diwali is called Deepavali in Singapore, but the festival of lights still shines as bright. 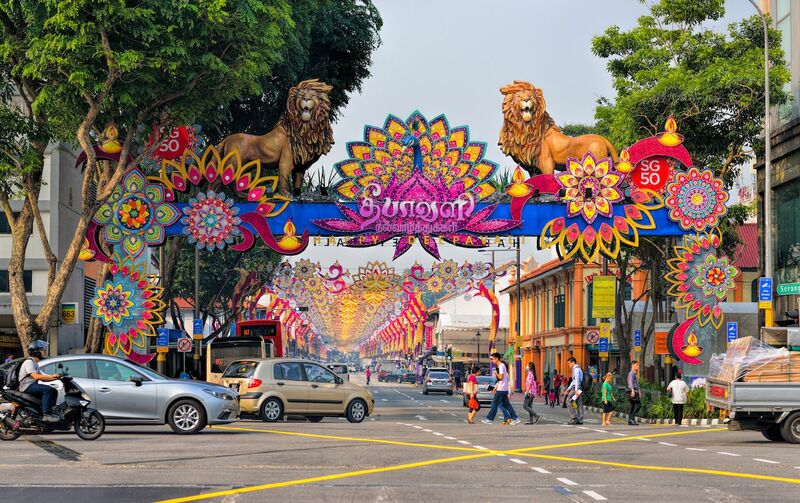 The best place to celebrate is Little India, which gets done up in lights and flooded with floral wreaths come Kartik, the darkest month according the Hindu calendar. The city is alive with the festival spirit from the end of October to early November with rituals like Thimithi, a fire-walking procession on Serangoon Road, held a week before the day of Deepavali. This year, visitors to Little India on November 6th can expect music and dance, performances on the history of the holiday, folk games, henna tattoos, and plenty of good food. 2018 marks the 10th anniversary of the Festival of Lights in San Antonio, one of the grandest Diwali celebrations in the US. Floating candles illuminate the River Walk, and fireworks burst above the city, but the event also features performances and activities that celebrate Indian culture at large. Get your fill of bangles and barfi, a condensed-milk-based fudge, at the craft and food stalls, then dance the night away by the DJ booths. 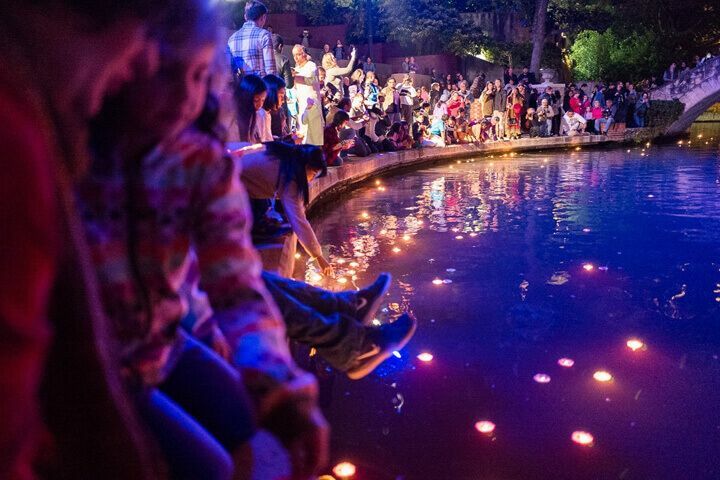 Brought to you by Anuja San Antonio and the city itself, the free Diwali SA festivities will be held at Hemisfair Park from 5:00 PM to midnight on Saturday, November 3rd this year. Deepavali is an official holiday in Malaysia, and capital city Kuala Lumpur does it right. Most of the Indian restaurants and shops close for observance, but the residents of the city open their doors to family, friends, and even strangers during Deepavali. Note that if you plan on attending an open house, a small offering of fruit or flowers is the polite way to do things. 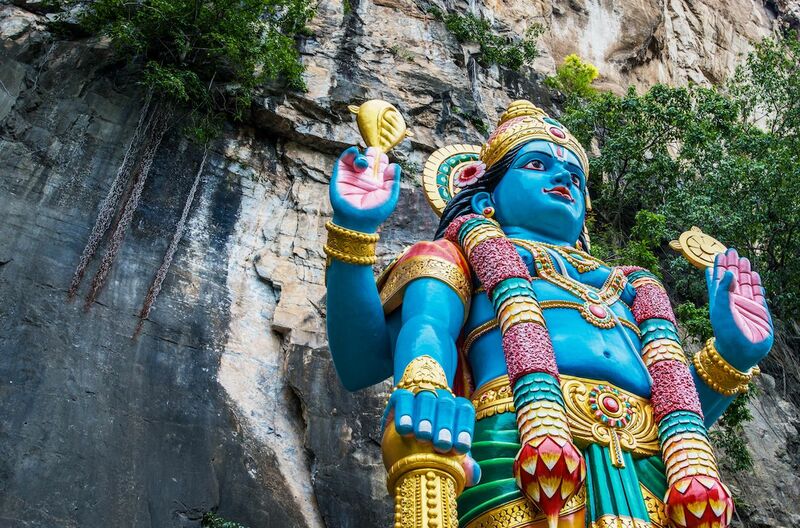 After sampling delicious home-cooked delicacies, head to Little India on the banks of the Klang River to see countless floating candles honoring Lakshmi and Lord Rama. Then, be sure to attend the 400-booth carnival at the Bukit Jalil Stadium on November 6th for the closing festivities. Admission is free. 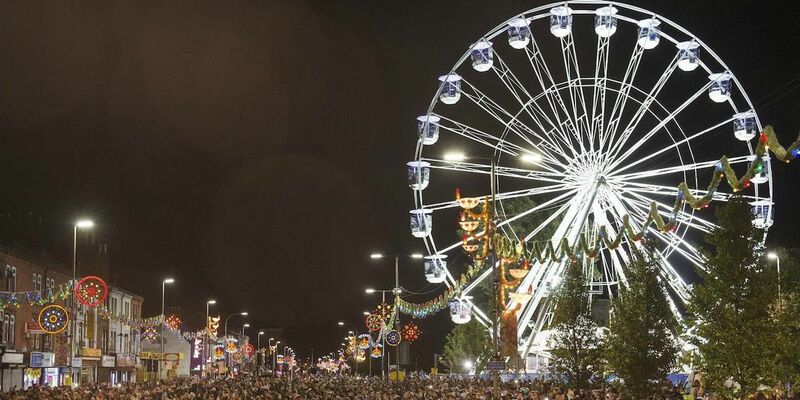 Leicester is reputed to host one of the best Diwali fests outside of India, running from October 28th to November 11th this year. To celebrate, make a beeline for the Golden Mile stretch of Belgrave Road where you’ll find the best Indian restaurants in town, as well as a massive street party and fireworks display come November 7th. When the actual holiday rolls around, wander over to the Diwali Village at the Cossington Street Recreation Ground for a slew of fun events starting at 6:00 PM. Annual highlights include food, crafts, and fashion bazaars; folk music and dance performances, including Bollywood demonstrations where you can learn a few moves; and activities catered toward children and families. 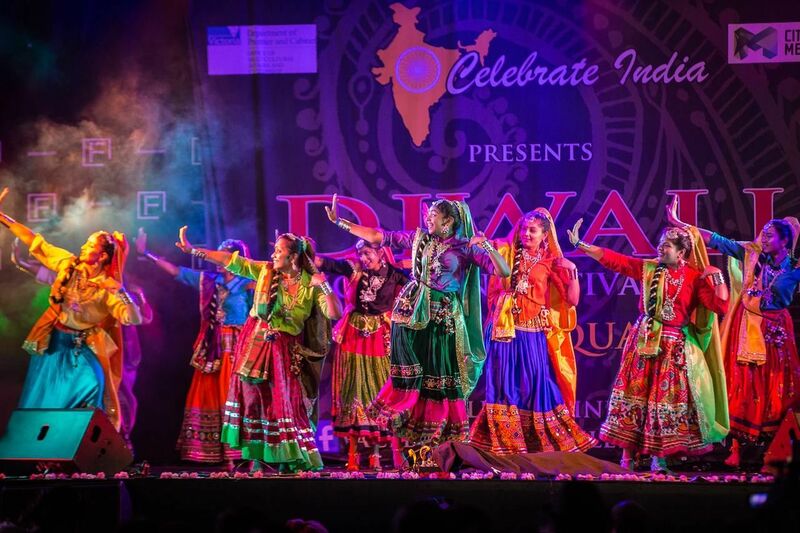 For more information, check out the Leicester Diwali 2018 guide. These twin islands off the coast of Venezuela share large East Indian and Hindu populations, organizing grand Diwali celebrations with a bit of Caribbean flair. Clay pots, also called diyas, are filled with coconut oil and spread across the islands in the days leading up to Diwali, and colorful kolam drawings made from rice flour and chalk decorate everything from sidewalks to front porches. The festivities culminate in an event known as Divali Nagar, a night fair in Chaguanas, Trinidad, filled with food, music, dance, henna, and traditional fashions. Of course, there’s also a fireworks show. No list of dedicated Diwali destinations could ever exclude India. 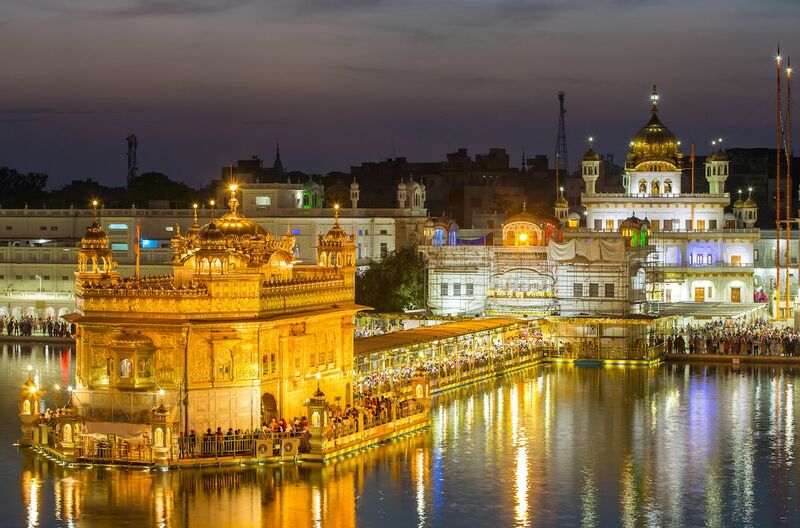 While the entire subcontinent takes part in the festivities, the Golden Temple in Amritsar might just be the most mind-blowing place to celebrate. Crowds of both Sikhs and Hindus gather around the holy Sikh pilgrimage site, which reflects thousands of glowing lights in its surrounding pool, as well as bright bursts during the fireworks display come nighttime. The festivities don’t end there, though. 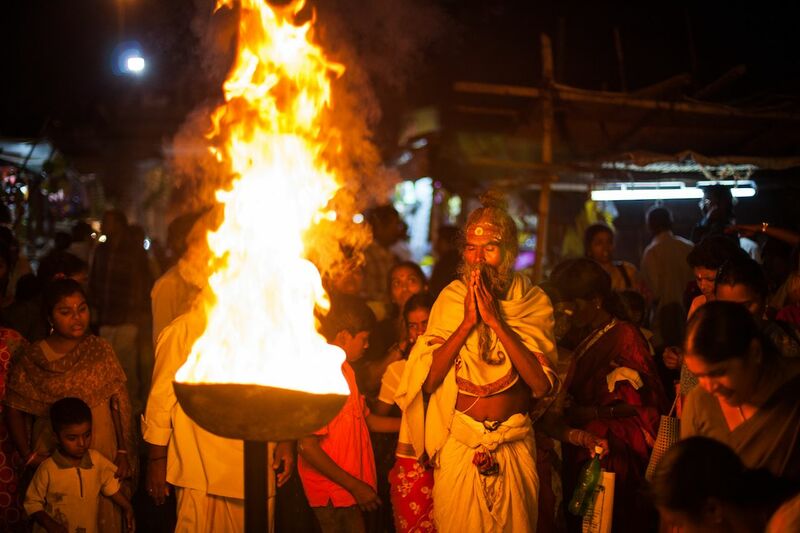 Candle-lighting rituals, prayers known as pooja, and street-food feasts carry on throughout the night. For a true taste of Diwali without any gimmicks, the Golden Temple is the place to be.